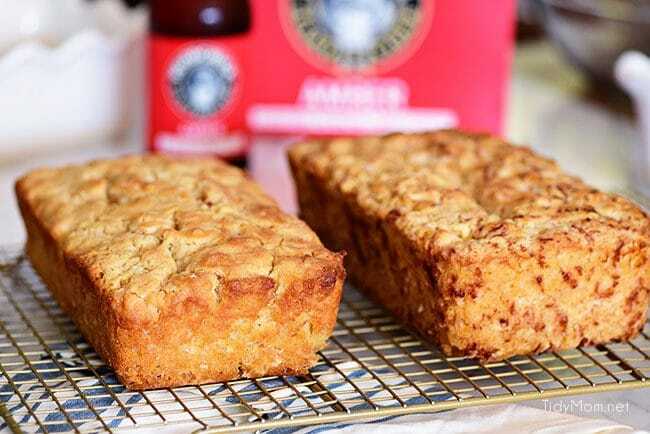 If you enjoy beer bread, you need to try this Hard Apple Cider Bread for fall!! It’s super simple to make. The buttery top crust is thick and crunchy, making it the perfect companion to soups, chili, dips, honey butter and more! The hardest part about making this Hard Apple Cider Bread is waiting for it to bake. It takes about an hour to bake, but less 10 minutes (probably closer to 5 minutes) of hands-on work. You can pretty much forget about it, except for the fact that your whole house will smell amazing. My husband came home and instantly said: “WOW what smells so good!”. I was almost afraid to tell him, because he’s not much of a drinker, and definitely not hard cider (or beer). But he loved it. I sliced him a piece and told him it was cheese bread ;). Not only did he devour it, he kept picking at the loaf of bread every time he walked in the kitchen. Apples and cheese are always good together, and this bread is definitely no exception. But you can always leave out the cheese, or substitute the hard cider with your favorite beer. 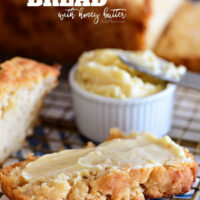 So take the few minutes and make this Hard Apple Cider Bread for your dinner tonight! This recipe couldn’t be any easier either. No eggs, no yeast and just five minutes to prepare before popping into the oven. Want a different flavor? Try different varieties of cheese, seasonings or beers instead of the hard apple cider. (I can’t wait to try a pumpkin beer and add a little pumpkin pie spice). Dice up the bread into cubes for dipping in cheese sauce, dips or slice for pumpkin chili, creamy chicken and wild rice soup, or snacking! 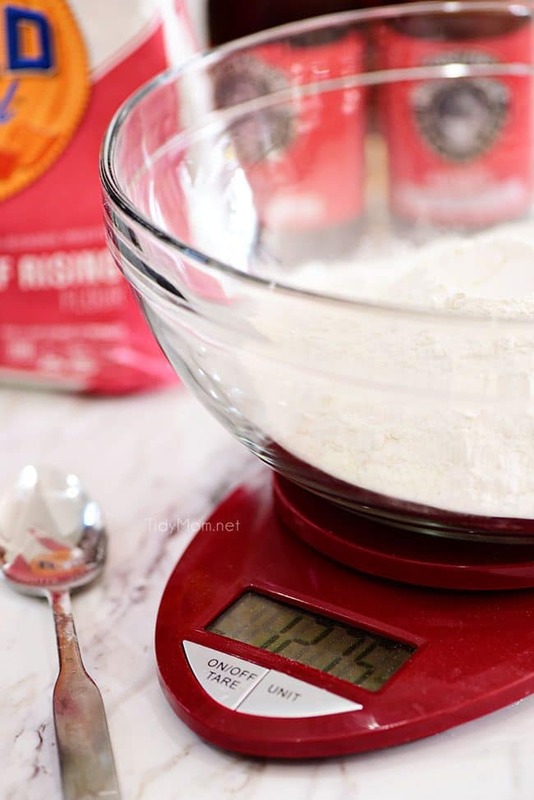 measure the flour correctly: you can weigh it with a kitchen scale (which is what I prefer) or spoon flour into it into the measuring cup, and use a knife or other straight-edged utensil to level the flour across the measuring cup. *Do NOT use the measuring cup to scoop the flour. That common method will pack the flour into the cup and you’ll end up with too much flour, and a loaf of bread that is heavy and hard. Stop mixing as soon as the flour is incorporated, and pour into your bread pan. I love my Emile Henry Ruffled Loaf Pans. They are clay, which absorbs, distributes and retains heat evenly, so breads, casseroles and meat loaf bake and brown to perfection. Don’t skip pouring melted butter over the top of the batter. 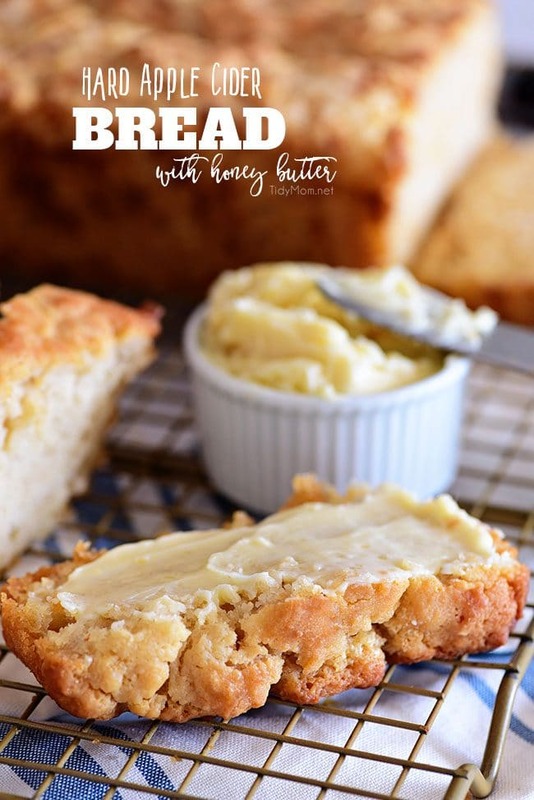 This will give your hearty loaf of Hard Apple Cider bread a deliciously crunchy, buttery crust! If you prefer a softer crust, you can just mix the butter into the batter, or just skip it completely. 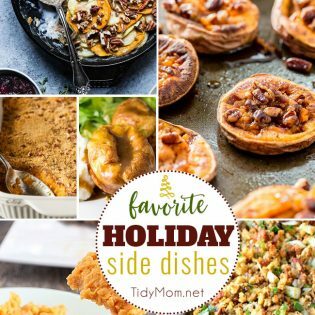 But trust me…..you want to at least try it with the buttery crust!! 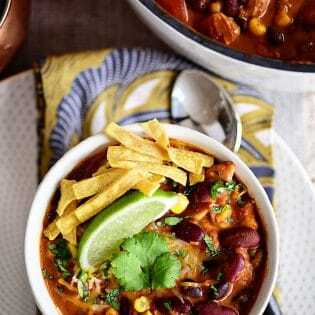 This is the perfect bread for soups, chili, and even holiday meals. 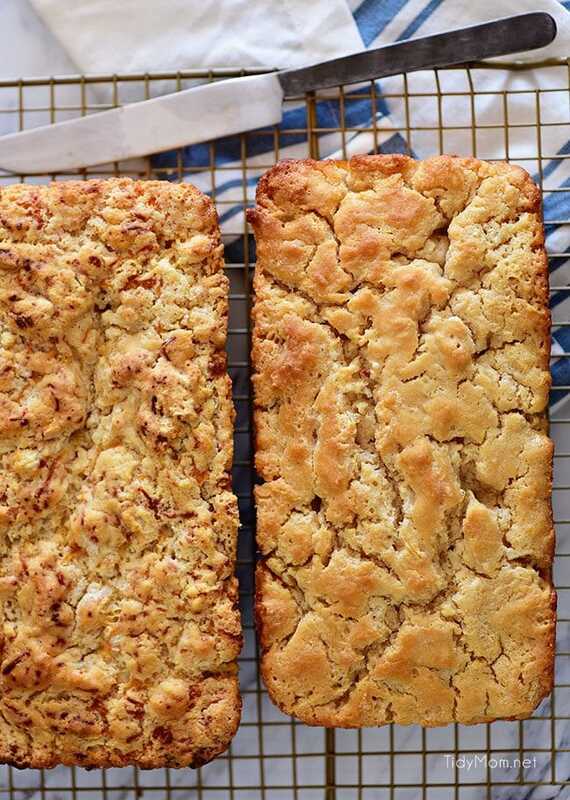 Homemade always tastes best, and you can’t beat how easy this quick bread is to make?! For a real treat, try smearing a slice with a little honey butter!! 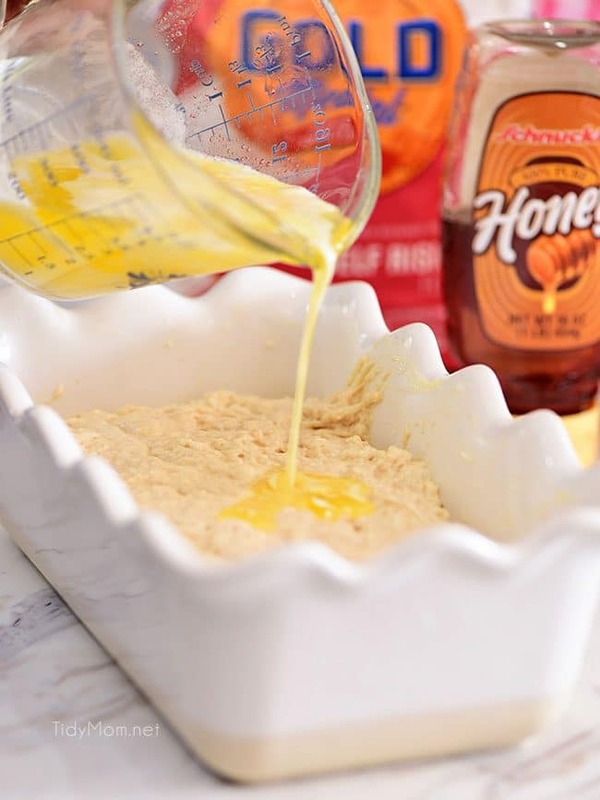 In small bowl, combine 1/2 cup of butter and 1/4 cup of honey. Beat at high speed until light and fluffy. Lucky for me I made a second batch and have some left over! Jealous?! Make your own, it’s so easy! 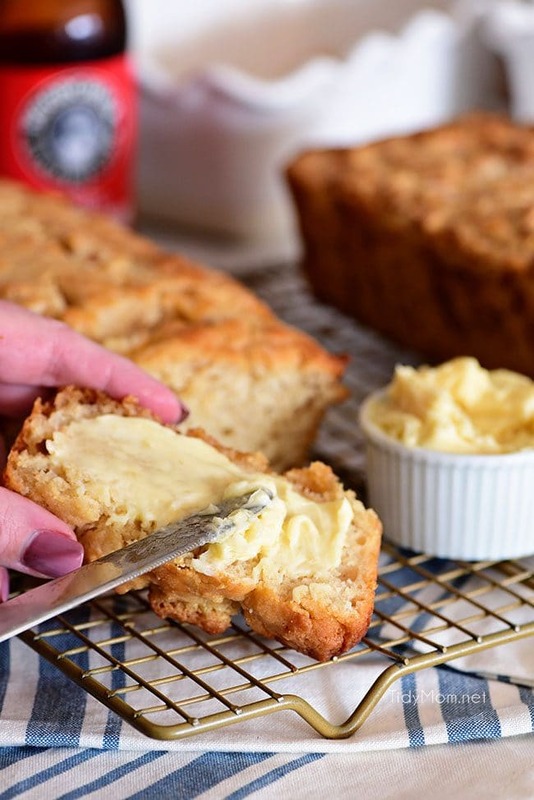 Like this Hard Apple Cider Bread Recipe? Pin It! 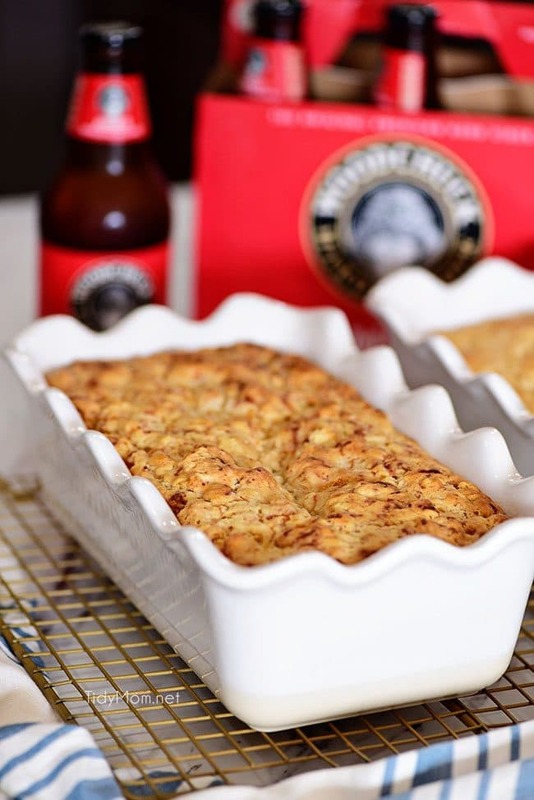 If you enjoy beer bread, you need to try this Hard Apple Cider Bread with a buttery, crunchy crust on top! Preheat oven to 350° F. Grease standard size loaf pan with butter. 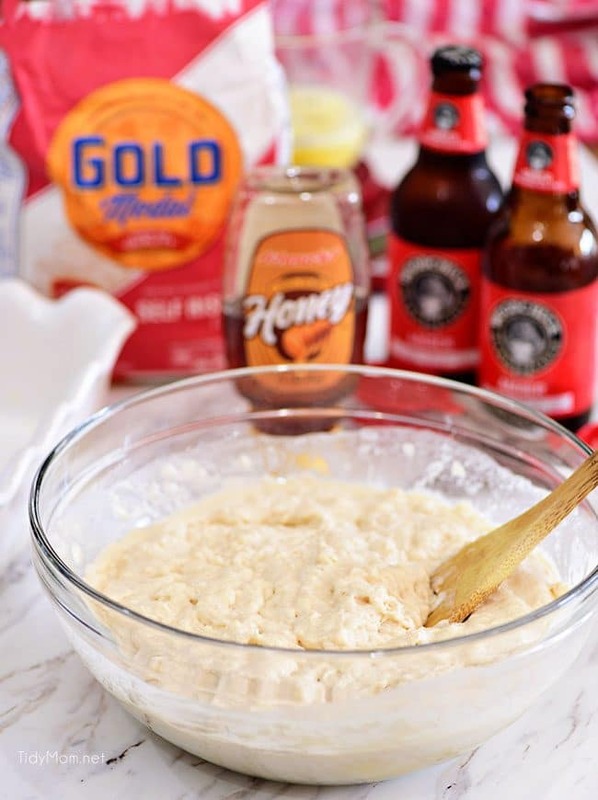 Using a large bowl mix flour, salt, honey, cheese (if using) and cider just until combined. Pour into prepared loaf pan. Pour melted butter over mixture. Do NOT mix butter into batter. Bake on the middle rack of the oven for 50-60 minutes, or until a toothpick inserted into the center comes out clean. Oh, Cheryl, I need this in my life, especially now that my whole family is suffering from a terrible cough. Your hard cider bread would be perfect since it’s quick and would be just what we need with some cozy soup. Great recipe Cheryl! I made it this morning and it was loved by everyone. The butter crust is genius, as it truly gives the bread a crust that can’t be beat. Thank you !